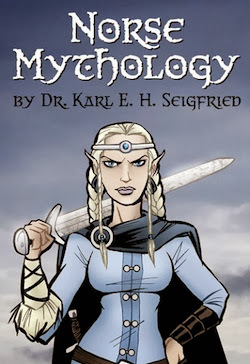 After The Norse Mythology Blog won "Best Religion Weblog" in March, I was contacted by Strings Magazine editor Greg Cahill about my work in music and mythology. 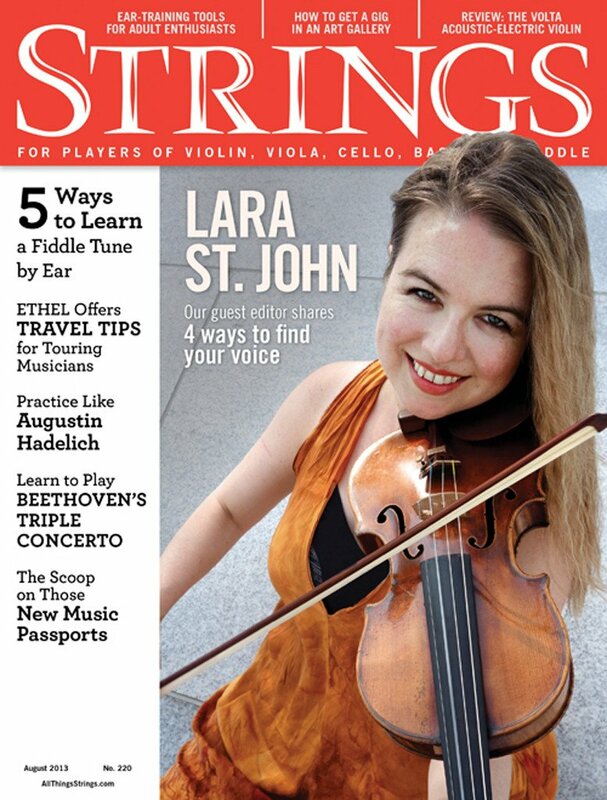 The August issue includes his article on my dual career, "Where Music Meets Magic." I've played first bass a few times for Lara. Circle of Life. How do Norse mythology and religion inform or inspire your work as a bassist? What follows is the complete text of my answer to Greg. I have attempted to explain my thoughts on the complex interaction of mythology, religion, science and creativity in my own life. I'd like to thank Greg for featuring me in the magazine, and I'd like to thank my mentor Jimmy Cheatham (1924-2007) for being the first person to open my eyes to the mystery of the Creative Spirit. The root of Odin's name means "frenzy" and "poetry." In the ancient mythology and religion, he brings creative frenzy to the poet; he is the god who inspires creativity. same exact hairstyle that I rocked in high school. Circle of Life. For several years, I hosted the Avant-Garde Jazz Jam Session in Chicago with saxophonist David Boykin and drummer Mike Reed. I vividly recall a time that we were performing a very fast, very intense improvised trio piece. I had my eyes closed while I was playing, and I remember this strange experience. Everything seemed to go red, and I felt like I was floating in an ocean of sound. I had no conscious control of my hands, but this wild music was happening on its own all around me. Do I think that a mystical Norse god appeared at Café Mestizo and took over my body? Of course not. I believe in science. What this experience taught me, however, is how a concept of Odin as the god who possesses his followers could have developed. 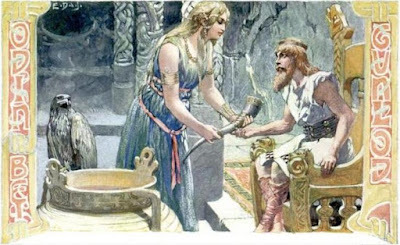 In the worldview of the ancient Germanic peoples, this out-of-body experience could easily have been explained as Odin "unbinding" the mind of the creative artist – a power of his that is attested repeatedly in ancient poetry and mythology. Here is another view of Odin gaining the Mead of Poetry. I can't really grow a beard this glorious. Circle of Life? I think that this gets to the heart of a great misunderstanding of religion in today's world – the idea that, if you follow a certain faith tradition, you must literally believe in the "magic" of that tradition, to the exclusion of science. Being attracted to the beauty and richness of a worldview that stretches back thousands of years is not incompatible with a rational acceptance of scientific principles. 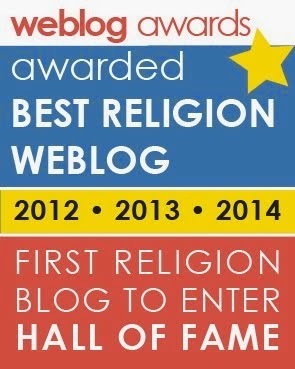 A few years ago, I wrote an article for The Norse Mythology Blog showing how the Norse creation myth works just fine with the work of physicist Stephen Hawking. The question for me as a modern artist is this: how do we understand these creative experiences? In other words: is it more deeply meaningful to read a scientific article explaining brain functions or to read poetry that describes the workings of Odin? For musicians, the deep meanings in the myths help us to grasp the realities of the creative process in a way that is, ultimately, more "real" than the purely scientific explanation. 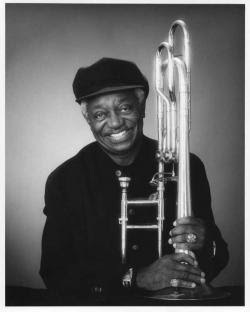 One of my musical mentors was Jimmy Cheatham, the great jazz artist and educator. Literally from the first moment that I met him at the University of California, he talked to me about the Creative Spirit. I mean, in our very first conversation! At the time, I was really too young and inexperienced to understand what he was talking about, and I remember thinking he was some sort of jazz mystic. Twenty years later, I finally understand what he meant – that there is something about making music that is not reducible to a simple mathematical equation. There are more things in heaven and earth than are dreamt of in our science. To really understand our lives in a fundamentally meaningful way, we need mythology. Exactly! This pretty much sums up my experiences and feelings about the connection between my art and mythology. Thanks!